Pro-Chinese rebels forced those released to sign a document pledging to pray only at home and not in churches. More than a hundred places of worship have been shut down and at least three destroyed. Catholic mission run by Salesian missionary nuns has also be forced to close. Naypyidaw (AsiaNews/Agencies) – The United Wa State Army (UWSA) last week freed 100 ethnic Wa Christians it had detained, but continues to hold about 130 ethnic Lahu Christians as part of their ongoing campaign of repression against Christianity. Considered Myanmar’s largest non-state army, the UWSA (pictured) controls two mountainous regions in the eastern state of Shan, on the border with China. Churches, priests and Christian missionaries who work in the Wa highlands have been the victims of a crackdown since the beginning of September by the pro-Beijing rebel group. According to the Lahu Baptist Convention (LBC), more than a hundred churches have been closed and at least three destroyed. 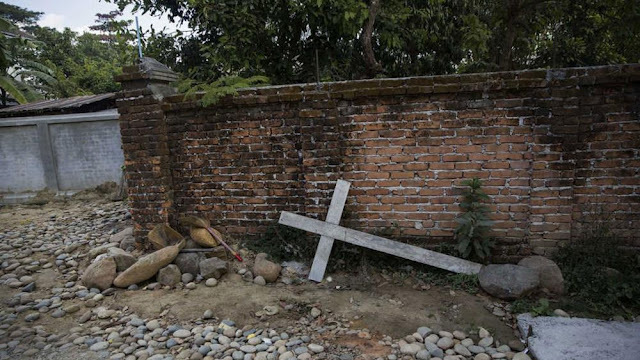 In the Mong Pauk township alone, the ethnic army shut down 52 churches, including those operated by the Wa Baptist Convention and the Kachin Baptist Convention. In Mong Mau, rebels also ordered the closure of a Catholic mission run by Salesian missionary nuns and ordered the latter’s expulsion. LBC general secretary Rev Lazarus said that the UWSA detained 92 of its leaders and that none have been released to date. Those released on 5 October had to sign a document pledging to pray only at home and not in churches. The seven pastors who refused are still in custody. UWSA militants, most of whom follow tribal religions, also seized more than 40 ethnic Wa students who have been reportedly forcibly recruited.